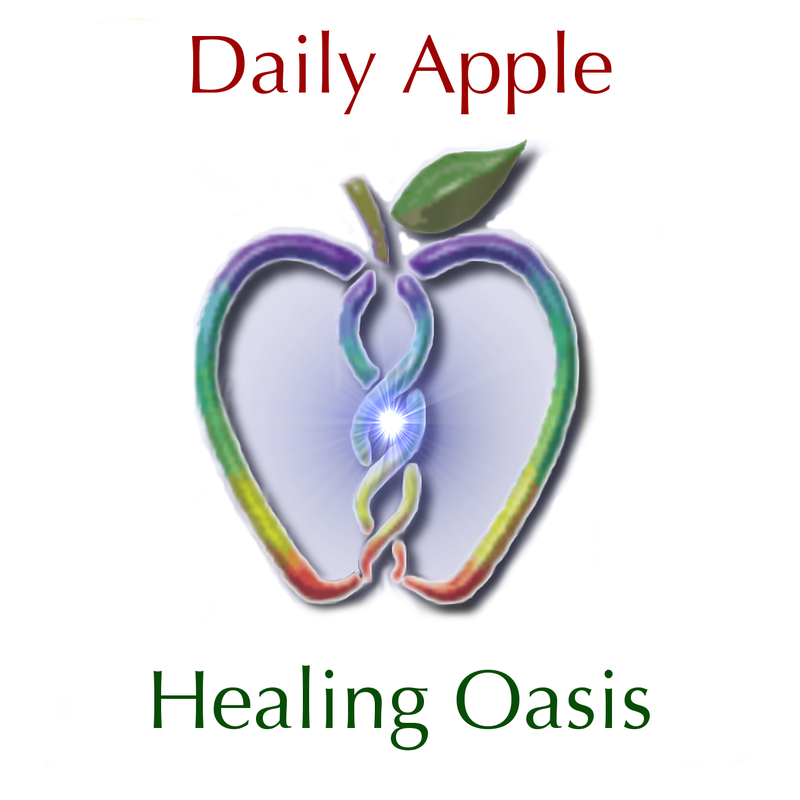 Welcome to the first Daily Apple podcast from Healing Oasis hosted by Rev. Dr. Glen Swartwout. Welcome to Healing Oasis. It’s May 5th, 2014, and we’re here at the studio at Healing Oasis talking about healing in Hilo on the healing Island of Hawaii. I’m Reverend Doctor Glen Swartwout and this is our first podcast. It’s a test. We couldn’t get hooked up online, so we’re recording it on the computer. “Things that are worth doing are worth doing badly.” It’s an old saying, but still a good one. So, welcome to the podcast: The Daily Apple, maybe. We’re not sure what the name is going to be yet, but we will know soon. Today, I was reading a very interesting article that was pointing out that in 2010, research was done that confirmed that light, photons, can become a Bose-Einstein Condensate. Now, a Bose-Einstein Condensate was a proposed state of matter, not a solid, liquid or gas; not a plasma; a whole other form/state of matter. This condensate form was proposed by two physicists: Einsein and Bose. In 2001, the Nobel Prize was awarded for the research that showed (from the 1990’s) that condensates do in fact exist. In the laboratory, to produce them and study them, measure them, observe them, they required very low temperatures, close to Zero degrees Kelvin. Interesting point about those Bose-Einstein Condensates of light, of photons: In 2010, they found that they could produce these at room temperature, meaning also at body temperature. So, biological systems, if they are able to produce similar causal conditions, arrange conditions, can resonate light energy indefinitely, because a condensate is a superconducting, superfluid state of matter, or in this case, energy. An interesting thing they found with the photons of light in the condensate state is that they have mass. Now, photons are said not to have resting mass. Very interesting. But they showed that they do have mass as a Bose-Einstein Condensate. How did they get them to form that state? Well, they had two mirrors, very very close together and they could get the photon in there and it would just stay. It’s like an infinite hall of mirrors, and the photon is going back and forth… kind of like a laser before it lases. So, the new information, 2014, just released, is that a theoretical model that supports that laboratory finding of 4 years ago has now been produced. So, we have both the actual proof that Bose-Einstein Condensates of light exist and an understanding mathematically of how and why, a model of how that can be. So, in a biological system, one of the ways this can happen is if we have layers that are able to resonate back and forth in a reflective way. If we have a similar state and then we have a change in state, where that change exists, I imagine the surface of water, and there is air above the water, we can have total internal reflection of light when we are under water. We can see out of the water in some angles, but in other angles where there is total internal reflection, all the light just stays inside. You can’t see through. So, in the water in the biological system, we know now that it exists in layers. Where the last layer exists, and then maybe there is bulk water that contains protons. You have a high concentration of protons in the bulk water at the edge of the structured water in the biological system. It’s not even water in the sense of H2O. Where the protons are concentrated outside the structured water, is high in hydronium, there’s a lot of hydrogen ions there. Within the structure it’s a hexagonal sheet arrangement of hydrogen and oxygen: a different molecule from water entirely, but we still consider it water. I would call it a liquid crystal state of water. It’s the state water goes into in between liquid and solid. So, when ice is forming, there’s a layer of this liquid crystal water on the surface in a sheet. When it freezes, it expands to a certain position directly above the sheet that was already frozen. In the liquid crystal water, the sheets are offset: the same sheets but offset in the liquid crystal; directly aligned vertically in the ice. Another interesting feature of this liquid crystal water that we are primarily made of when we are healthy, as opposed to dirty bulk water when we are not healthy, is that it stores a very high amount of photon energy. In fact, it forms by absorbing both ultraviolet and infrared energy from the environment, especially the infrared, especially the near infrared. The peak absorption is in the near infrared. When the body produces heat, such as in a fever, producing more heat than normal, or if you happen to be a reptile listening in, and you want to sit on a rock in the sun, you’re absorbing the sunlight and the heat, it’s actually being absorbed and utilized, and storing like a battery storage, int the structuring in the water in the biological system. The more energy there is in that storage, the larger are those zones, called coherence zones, of structured water, and coherence zones is exactly what I would envision producing in order to resonate a Bose-Einstein Condensate of light, or in fact of the spirit minerals, of the transition minerals, the transition elements of the Gold, Platinum, Palladium group that makes up the spirit body in our Theory of Everything, our Clinical Theory of Everything. I call it a Clinical Theory of Everything because it is derived primarily from clinical application and it is used primarily in clinical application. That means in the real world, front line with living beings and consciousness and healing and disease and that sort of thing, as opposed to most Theories of Everything which have difficulty dealing with more than one or two objects in the universe. That makes the Clinical Theory of Everything a very useful model. We will continue on in the next podcast. I hope you will join us. Aloha. O.K. We’re on the air. Well, the reason that I wanted to start this podcast interview is because every timeyou start talking in the kitchen, it’s so exciting that I think everybody should hearabout this. Everybody should hear what you have to say. So, yesterday you were talkingabout, shoot, I mean it’s all so over my head, you were talking about the Bose-EinsteinCondensates and light. Can you just jump in with that, or should I form a question? Well, that’s what I talked about in yesterday’s podcast: the recent article that there isnow a theoretical model to back up the observational data that shows that light does form Bose-EinsteinCondensates. To me, the really critical piece of this is that in our Clinical Theory of Everything, that entirely fits my best guess of what appears to be happening with consciousness is essentially a Bose-Einstein Condensate of light. When we see, we see light. Now,that light that we see, the light of consciousness, is not visible to technical observation, to technical instrumentation. It’s dark to the scientist in the laboratory trying to look at it inside someone elses head because consciousness is a funcitonality within that coherence zone of the biological entity housing/harbouring the spiritual consciousness, the spiritual body that has this consciousness function. The light of consciousness appears dark to science at our current level of science. But if we expand science to include not only technical electronic externalized instrumentation, but the instrumentation inherent in the biology itself, our own consciousness, then we see consciousness every time we openour eyes. And when we close our eyes, we see it if we are visualizing, if we are imaging. How about if we have a signal, where I have a question? Or do you want to justkeep going on with your thought? Look at the camera at the top of the screen. Now you are looking in my eyes as the Avatar viewer. Now I see into your soul. A lot of questions are coming up already. When you say a Bose-Einstein Condensate, I have these kind of floating images of tubular structures that somehow contain memory. The tubular structures are the scrolls. We see that at different fractal levels. We see it in the microtubules in the Orch OR model of memory and consciousness which is a very nicely developed model of consciousness. Way over my head already. That’s a little thing in blue ink so that people can click on itand go to a website and look it up and read about it, but it’s a well developed model of memory that I include in my model of consciousness in the Clinical Theory of Everything. The microtubules are cylindrical in shape. They are hollow on the inside. This Orch OR model is a quantum model of memory, of consciousness. Is there some way that you can relate these microtubules of consciousness, these cylinders filled with light and consciousness that looks dark somehow to our scientific methods? I am assuming you are talking about some way to measure with a microscope or something? Is that what you mean by scientific? You have the perfect microscope and we can make ourselvesreally small with this perfect microscope, and we go inside the microtubule, we can seewhere each electron is spinning… where it is residing. If the electron is here at point zero versus here at point one, we have this digital switching mechanism where the electron can be here or it can be here. I don’t have you on my screen, so I’m not seeing any gesturing that you are making, which means that for radio podcast, there is something lost. We have to make sure that the verbal expresses the imagery… that the imagery is complete in the verbal. If we think of it as an audio podcast, then the visual expression,the movement is all added and extra, but we have to think of our Avatar as listening. I’m still struggling with connecting these microtubules into my model of reality that I already know from studying science and hearing about other things as far as like: we know electrons are spinning around a proton. There’s something about phonons and photons that I don’t quite understand, and that somehow all of this is housed together in a molecule, which is just a combination of all those elements. And then that’s the building blocks for everything that we see. So, how does the microtubule model fit around this model that I already know? O.K. You have pieces of the model, and that’s understandable. It’s where everyone isgoing to be coming from in their first approach to the model. It takesin all sizes, all perspectives (The Clinical Theory of Everything). We can approach itfrom any particular angle or perspective or size and just enter it from that point. There is no one starting point, no perfect starting point. A model without consciousness is a model within our model that leaves out 70% of what exists in the universe which is Dark Energy. What do quantum physicists say appears to be the substrate of existence? Everything is consciousness in its nature. I often will say that Magnesium knows perfectly how to be Magnesium. It has perfect Magnesium consciousness. We are looking for human consciousness. Those who are empathic with their pet dog or cat know that that creature has consciousness because there is communication. Ooh, I have to feed the cat! (You’re a little low on the screen. I actually have to get going now, but this is a good start. We’ll call that a day, and we’ll continue on day 3 (maybe later today, to be published on day 3). Welcome to the Daily Apple broadcast number 3. Rae: …Keeps the doctor away. As long as its the doctor who wants to give you something other than an apple… that’s a good idea! What was it? The people who eat about 7 servings of fruit and vegetables a day… What was the statistic? Rae: You’re better at statistics. I know I feel better when I eat more fruits and vegetables a day. They live a bunch longer. I think it was longevity. Oh! It was 60% less likely to die. It was a decreased risk of death. So, eat your frutis and vegetables. You heard it here: The Daily Apple. Rae: I think if you want to start with your model, the Clinical Theory of Everything. Yeah, we’re going to start. This is a great entry point for us normal people. I’m speaking of the royal ‘us’ because I know I am not a normal person. Our listeners, hopefully, some of them are normal people. Some are like us, too, and that’s cool: healers and doctors and such: scientists. We can start at other points in unravelling the model. Rae: It’s a little hard to hear you. My microphone can come about to there before it comes in the shot. It’s at the edge of the shot. That should be fine. I’ll be tweaking the sound. Besides, you are listening from behind me. You are not listening to the sound that I am recording. You are listening to the sound that is bouncing off of the wall in front of me and then going to you. The entry point for us today here on the show in the Clinical Theory of Everything is consciousness: something we all share. You are listening. You have ears to hear. We want to enter the model through the eyes of the ancient Chinese culture because they had it hooked up pretty good. Through the Daoist philosophy they developed out of the Yin/Yang duality observations, they developed a more refined view which is still absolutely applicable today of a quintessence. In fact, modern physics is rediscovering its own brand of quintessence. Rae: What does quintessence mean? Quint means five. You’ve seen the Fifth Element, right? …which is love. In this model it is consciousness. Rae: So consciousness is the fifth element? Love, light, consciousness, the fifth element, the aether in the ancient Greek model of Aristotle. There’s other 5 element models. In the Oriental model, the model of Traditional Chinese Medicine, we have the fifth one, the starting point is the Metal Element. It’s the lungs and large intestine in terms of the major organs and meridians. The starting point is the breath. We breathe in spirit. In my model of the Clinical Theory of Everything, we can imagine it’s like our spirit breathing in our senses, the sensorium. As human beings, we are dominantly visual. We are breathing in air. We are breathing in light. When we open our eyes in the morning, the temperature in the brain goes up several degrees. It takes a few minutes for the increased circulation in the cranial cavity to dissipate that extra heat energy and bring the temperature back down to normal. We are just using so much metabolic energy to run the brain. It is a very high energy utilization. When we first open our eyes… We don’t even have to move the body. We open our eyes and our metabolism suddenly jumps up like crazy. That starts with the brain. Of course, the brain also regulates the hormones and the immune system, so our systems get into gear. Why? Because there is light coming through the eyes. Rae: So light comes through the eyes, and you are equating that with air coming into the lungs as being a form of breath? In the Clinical Theory of Everything, I am modeling the sensorium in that first elemental step in the development of consciousness. We have reflex consciousness. We have the animal soul in Oriental medicine, which is the white soul, the white powdered Gold, the white powdered minerals in alchemy that make up the spirit body. They would be ‘unknowns.’ If we take the body in the chemistry lab and we burn it and all the known atoms, minerals go through the instrument and we identify what’s there, there is this ash that is left over. We know that in the case of the brain, that ash represents 5%, which is quite a lot, of the dry weight of the brain. If we take out all the water, 5% of what we have left is spirit minerals. They are unknown to anyone who has studied only in conventional modern academic training. I thought I knew a lot about minerals. I knew all the holistic aspects of minerals: the European biological medicine, the trace mineral therapies from Germany, and how they are used as catalysts, heavy metal detoxification, all these different aspects of minerals. I knew nothing about the spirit minerals until I came across the information about… ORMUS was the term that is being used by a major study group online. These are basically modern alchemists. The ancient alchemists encoded all their information so it is very cryptic and very hard for anyone but the person who wrote it down to understand what the terms mean. With the modern alchemists we have a common language. It’s still going to be a little different language, but we are speaking about the same thing as for example the physicists. There’s a crossover. Dr. Swartwout: I’m thrilled with all the parallels, the things that you are interested in. I am retired from Optometric practice, but I still do healing (ministry) consulting practice here. I do a lot of writing and just trying to get back into connecting with the outer world from our cave here in Hawaii. Dr Wylie: It’s a nice place to have a cave. Dr. Swartwout: I actually dug a cave, literally, over the last 5 years. I’m back out, and my mission is to talk to the world and share some things that I think can help… that I know can help a lot of people. I’m really glad that there are folks like you that are carrying the ball out there. Dr Wylie: It’s a joy, as you know. Dr. Swartwout: Exactly. The magnetic field therapies are of great interest to me. I have not done a lot… I have explored some things… the concepts, in pretty good detail. I wrote a book on Electromagnetic Pollution (Solutions). I had a Rife instrument designed where I could measure the frequencies independently from telling the instrument what frequency I want it to make. I never really did a lot of clinical application with it because I felt much more comfortable with natural medicines and colors: Syntonics and that sort of thing. These European instruments are of great interest. I am just starting to wrap my head around what they are doing. It seems the Bemer is the one that you are working with. Dr Wylie: Right. It’s unique in that it’s in the category of PEMF devices, but Bemer doesn’t really use the PEMF portion as treatment. They are using it more as a carrier for their signal that they developed. They have a Near Infrared LED attachment that uses the light as the carrier for their Bemer signal. Dr. Swartwout: We’ve just started working with the Near Infrared instrument that was developed for NASA and loving it. Dr Wylie: Bemer is pretty succinct in what they do. The results are just because of the increased circulation for the most part. Their carrier wave that they patented… first generation they could do about 15% increase lasting for an hour; 2nd generation 24% lasting for 3 hours, and it was at that point, I guess, that Dr. Klop who is head of the Microcirculation Institute of Berlin… The German government had asked him to look for any cost effective ways of helping senior citizens for health things. He heard about Bemer and since he loves microcirculation he contacted them. Since they have the equipment to do the non-invasive live video of blood flow, at the capillary level, they started working with Bemer. Bemer was able to just watch in real time and figure out how to tweek their signal so that it stimulates the smooth muscle in the arterioles and venules. It also triggers the cells that release the nitrous oxide for the expansion. Dr. Swartwout: That explains why they have all the videos showing the changes in microcirculation. They were actually using that as a biofeedback to develop the signal, to optimize it. What do they say is the nature of that signal? How do they describe it? I understand it is patented, but what’s the story line? Dr Wylie: It’s multifaceted. Bemer’s main competitor, at least if you Google Bemer, you will for several months receive blurbs about the iMRS. Dr. Swartwout: That’s the other one I actually heard about for the last few years. I know somebody who is distributing that, who we get other products from. I know that she’s always checking out new technologies and stuff, and I just never was convinced to jump in, and didn’t have the budget to in any case. Dr Wylie: They have quite the impressive marketing, but they have no research behind what they’ve done. In Septmenber was a study published, a placebo controlled, double blind study, looking at Bemer and 5 of their European competitors. iMRS was one of them. They looked at 4 aspects related to blood flow. One was % of oxygen increase. Another was blood flow changes. Another was the increase of the area of capillaries, and maybe the nodules of capillaries increase within a defined area. Consistently, Bemer was 300 to 400% better than all the other competitors. While they were at 5-8%, Bemer was up around 30% increase. On the 4th day, they didn’t turn on any of the devices. All the others were at zero with placebo. Bemer still had about a 12% residual. Dr. Swartwout: So it really developed a hysteresis as you were describing. They optimized for that. I got the impression they are really holding it close to their chest as far as… They’re not offering a theory on what their patented signal relates to, or what it’s stimualting, other than circulation? Dr Wylie: They document it stimulates the smooth muscle in the arterioles and the venules, and also the cells that produce the nitrous oxide. They are not going into any detail on how they do that. Dr. Swartwout: Fair enough. That’s their prerogative, I guess. I’m a theorist as much as anything else. How are they doing that? We’d like to know. When the patent runs out, or something. Dr Wylie: They jumped them up from the 2nd generation to the 3rd, where they went from 24 up to 30 and lasting 3 hours up to 12-16 hours with one session. They figured out that if every 20 seconds they do like a quick intensity 10, which would be 35 microtesla, just quick bursts, 3 times a minute, that had a huge impact on both efficiency and duration of circulation. Dr. Swartwout: For me, part of the take-away is that they are optimizing it based on the pulsing. It’s not just a repetitive type of stimulus that the body’s going to adapt to and stop responding. They’ve dealt with that. Still, you’re saying that the magnetic field that they’re pulsing that way is carrying some informational signal that is proprietary, but it is designed to relax the smooth muscle and optimize circulation, which makes sense for every condition in the body. You’re oxygenating. I am wondering if maybe you’ve picked up an oxygen pulsimeter. I’ve always wanted one, and now you can get them on Amazon for $20. Have you picked up one and used that with patients at all? Dr Wylie: I’ve got one hanging around and I don’t know that I’ve done that with Bemer people. We’ve done Syntonics (visual) fields before and after and see the increase. The VEP’s (Visual Evoked Potentials): We’re seeing some speeding up of the VEPs nicely. Dr. Swartwout: I was impressed with all that you shared that I could see online about your experience with the cases. It reminds me of when I went into practice in the ’80’s and started experimenting with Syntonics and experimenting with nutrition, and seeing that all these conditions that they told us in school “you watch them get worse until it’s time to cut it out, or whatever…” No. You stimulate it with something that is physiological and you measure and see if it creates a positive change. If it does, then repeat the stimulus, and most people get better. Dr Wylie: That’s right where I’m at, too. So, it’s just been fun. I was at a meeting last night. Somebody had some questions. There’s a farmer a couple of miles up North here that’s tracking the nutrient density. He’s been to Australia. He’s just started using the structured water. He’s about ready to put in a paramagnetic tower based on Callahan, the paramagnetic guy. He just got a Bemer a couple months ago. He had a couple near him that were both basically just waiting to see who was going to die first. The husband was in a wheelchair. They’re both obese and in constant pain. He had a little book sitting out at his farm. He had “Wheat Belly” sitting out. The wife glanced at that and it started to trigger a little something. So, he said, why don’t you start doing the Bemer? I think it was the 3rd or 4th time, she actually felt the cells in her body waking up. Now, it’s been 6 weeks later. The husband is out of the wheel chair. He’s in a walker, but plans on getting rid of that. Now they are helping out at the farm. It’s just nice to see the light in her eyes. They’ve got purpose again. Life is in the blood! Get that moving and things work. Dr. Swartwout: So, with the Bemer, the distribution is also through the practitioners using it? Dr Wylie: Once somebody has a Bemer and a serial number, they can become a Bemer distributor. Dr. Swartwout: We may very well, if we can get in a position where we can get one, it sounds like something that would benefit what we’re doing here. We’ve switched the house over to being a bed and breakfast with a health spa. I love it when people come and visit for healing in Hawaii, which is kind of a natural combination, so we’ll be in touch on that and find out what that would take. Dr Wylie: It’s just $390 to become a distributor. $250 of that applies towards admittance to a Bemer Academy, which is a 2 day meeting. Most of the time, they are in the (San Francisco) Bay area. They had the first one outside the Bay area about a month ago in Spokane. Spokane is sort of a hotbed of Bemer activity in the whole country due to one particular lady from Germany who has seen that with her, her husband and her mother-in-law just life-changing differences, so her goal has been to share that. Bettina Torres is her name. She has motivated a number of people. Bemer Academy is worth going to for background information. Dr. Swartwout: Is there hands-on training or classroom style? Dr Wylie: More background from the company explaining it and going through what the Bemer does and all that. Dr. Swartwout: I hear there is a professional kit that has the full spectrum of applications, the Near Infrared and all. Dr Wylie: They make 2 models. One is the Classic. Both of them will do the same thing, but the Classic only allows sequential treatment, where the Pro will let you do two things at once. While you are doing the whole body, we do the eyes, or we can do two things at once and just save time: 2 different things; 8 minutes. Also, the advantage of the Pro is, like for husband and wife, if you get a second matt, then both can do the Bemer sleep program, but have separate sleep schedules. With the Classic you can do the sleep program, but both people have to go to bed and wake up at the exact same time, if they want to have the sleep program maximum benefit. I don’t know if you’ve heard about that at all. Dr. Swartwout: I’m only starting to read about it. I’m curious. Is that recommended for everyone for maintenance, to do the sleep program? Dr Wylie: It’s totally optional. What it does is it’s intensity 2, so it’s 7 microTesla for 2 hours as you go to bed. Then it turns itself off. Two hours before you wake up, it turns itself back on again at the 7 microTesla. Again, just increased circulation to kidney, liver, pancreas, skin. Shut off and let them do their thing, and then fire up again to help get rid of the waste products. A controlled study they did with people sleeping on the matt, but it not turned on, and they measured the pH of first urine in the morning. Then they compared that to when it was turned on. The pH was 1.1 units more acidic which is a logarithmic unit. Dr. Swartwout: More detoxification… That’s great. 10 times the detox! Are people reporting better sleep, I would guess? Dr Wylie: Just with Bemer by itself, before the sleep program, people are noting better sleep. Just get the toxins moving, and the oxygen and blood flowing. Dr. Swartwout: It probably gives the Autonomic system a chance to equilibrate, and probably helps the circulation to the pineal and all kinds of things. I guess that’s probably a good amount of information for right now. I would love to do this again sometime. I am just starting a podcast, so if that’s O.K. with you, I will edit this and show it to you and let the world in on the secret that the body can heal. Dr. Wylie: You can do that once you have your own Bemer. You need the serial number of a Bemer to then become a distributor. Dr. Swartwout: Do they have any kind of leasing set up: in house leasing? Dr. Wylie: They have financing, but you can do way better. They are like 17.99% interest, and through a credit union or something, you can do way better than that. I initially started with that, and after the first week, and seeing the results with patients instantly, I was kicking myself for not just buying it, and saving the $150. Dr. Swartwout: What’s the total cost of the professional model? Dr. Wylie: It’s $5,990 plus sales tax. There is no charge for shipping. Dr. Swartwout: You said that $250 of the $390 applies toward the Bemer Academy. How much does the Bemer Academy cost? How long is it? Dr. Swartwout: And that’s usually in the Bay area? Dr. Wylie: Right. It’s a weekend. It’s about 8 hours each day. They do include meals as far as lunch and one dinner with that $250 price. Dr. Swartwout: That covers 1 person? Dr. Wylie: Right. If a spouse is coming along, you would have to pay the $250 for the Academy and that would include their meals also. It’s a fun place to go, and neat people. Dr. Swartwout: We always like healers… good people. Dr. Swartwout: We’re looking forward to hearing more about Flavon. We’re definitely going to give them a try. They sound awesome. We work with so many supplements and we’re always looking for alternatives that are more food-like. If people can eat their medicine: “Let your food be your medicine, and your medicine be your food.” (Hipocrates) That’s the best way. Dr. Wylie: It’s nice with the syntonic component there, with the flavonoids being in their raw food state. Dr. Swartwout: So, walk us through the story. Dr. Wylie: As far as the Flavon, I got introduced to it in the end of January, when I got an email from a person who looks at the live blood under 18,000 magnification. She had been introduced to it in October, so she had been looking at people ever since then every month or two, not charging them, just having them come back so she could get a view. She was just simply amazed with the changes in the blood appearance that she was seeing that was happening 4 times faster than anything she had seen in 20 years. Consistently, time after time, she was seeing more robust red blood cells. The one email that she sent had the 66 year old diabetic on 17 units of insulin a day. He did start working on his diet. Normally she would see that would take 9 months at a minimum to take place significant change. He had incredible change in 7 weeks. He had gone from 17 units of insulin a day down to 2, which was actually too much. By the 8th week he was off all insulin and off 95% of his meds. She’s continued to see person after person… She has yet to see anybody taking it whose blood has not improved. Dr. Swartwout: That’s amazing, too, because we work with all kinds of remedies that are very targetted and specific. There’s this old saying that I really love, that’s “You can only cure retail, but you can prevent wholesale.” We are talking wholesale prevention. We know from the practitioner’s experience that people with a wide range of serious health concerns are able to clear those more rapidly than with different more targetted types of approaches, it is obviously covering some really fundamental basis of health. Dr. Wylie: It’s some incredible, nice building blocks to give the body for repair, rejuvenation and restoration. Dr. Swartwout: It’s fruits and vegetables, and we all know we need to be eating more of those. Dr. Wylie: It’s how it was designed to work. Dr. Wylie: In the Greens and also one they have called Active, which they say if a person would like a substitute for a morning cup of coffee. If somebody is a little sensitive to caffeine, then they should probably do the greens late afternoon to early evening. My wife and I aren’t particularly that sensitive and we do ours right at bedtime. It doesn’t keep us up at night. Dr. Swartwout: It’s not an amount of caffeine that is an issue even for people who are sensitive if they do it early in the day? Dr. Wylie: People who are sensitive, as long as they do it early evening or late afternoon, they would be totally fine. Dr. Swartwout: Wow. O.K. That’s a big concern because we have people, including ourselves, who are extremely sensitive. I don’t do any caffeine at all, ever, so I’ll just have to test it out and see how it goes. Good to know. And then there is garlic in one of them. Again, people who are sensitive to garlic, any feedback, anybody who says, “I’m using a different product because I avoid the garlic.”? Dr. Wylie: I haven’t heard of any issues yet. At the Syntonics meeting, a person who was there, a therapist, has got some major toxic issues, so she just sampled a teeny little bit of the fruit one, and I almost wonder how much of her issue might be desiring to be sensitive to things, because she said it gave her a significant headache, and she did such a small amount. Maybe it’s true, but that’s the only person I’ve had show a reaction to it. I don’t know of, from the other person who is doing the blood studies, that she’s had any major complaints from anybody. Dr. Swartwout: Somebody who has a high sensitivity like that, what I would normally do is say… like I’d be testing them and find that this tests as a medicine for you, and they start taking it. I usually caution people who know they are sensitive to start out any new remedy slowly. I give them the analogy of the Japanese hot tub, the furoh. You don’t dive in. You stick your toe in, or your little finger. It’s a wise thing to do. …But also to take more fluids. Take a smaller dose initially and work up… As you were saying in the other interview about electromagnetic PEMF therapies, that there are protocols with that to introduce it slowly because you are intending to stimulate some detoxification and that can stir up some symptoms. Dr. Wylie: Don’t do too much too fast. Dr. Swartwout: Gentle… It’s the slow race. The last one standing… the last one still healing wins. So what do you see? I know you are doing multiple therapies with these people… the electromagnetic fields and perhaps other things, but what’s your sense of it? (the efficacy that you are seeing in the practice with the food concentrates, with the flavones) Do you see it stepping things up a notch as far as the effects? Dr. Wylie: Definitely, some of the people with Bemer who are on the ‘pretty sick’ side… they notice they are better, but it takes some of them …say it’s somebody who is very sensitive… They have to go pretty slow. What I see the Flavon doing is helping speed things up. Instead of trying to circulate not so healthy blood, which will definitely get more oxygen and will help versus not circulating blood, but if we can get the blood healthier, and then circulate that better, it’s such a nice synergistic effect. Dr. Swartwout: Would you say that people probably will tolerate ramping up on the Flavon quicker and earlier than the magnetic fields? Dr. Wylie: Maybe they don’t have to do as much Flavon once it’s combined with Bemer. The results that we are seeing with the blood flow, that’s the Flavon by itself. So, to me, if you get the circulation going better, which I know the Bemer does hands down, it’s just going to have that much more benefit. Dr. Swartwout: Are some people doing just the Flavon? And what do you see as far as people reporting back? Do they notice changes often within weeks? Dr. Wylie: Usually within just a couple weeks. It depends on the person. Increased energy is usually the most reported occurences. Actually our neighbor was coming down to our house to do Bemer. She did Bemer by itself for mild cataracts, although she’s had years of issues with night vision, almost like a multiple image. She did Bemer for a good month, and I think we got a couple letters, so basically not much of a change with Bemer by itself. She added the Flavon and just last week, I think she’s been doing that for 4 weeks, because she just finished her first round. She was just driving home last week and it was just like, whoah! Her multiple image at night is just totally gone, and she just noticed how much clearer she is seeing. She is just happy, happy to see a change, because she has had that for years. I know the one lady with the vitreous membrane, with a little edema under it, the Flavon by itself cut it by about 50% in 2-3 weeks. Then we did Bemer and Flavon and that cut it in 2 weeks by another 50%, so I see her Thursday for the next check after she has finished 20 Bemer sessions and we’ll see what we see. So, she’s going to start that now, and actually their next-door neighbor should have their Bemer next week. They are a very kind couple. The wife had an aneurysm, and Syntonics helped her noticeably, but then she was doing Bemer also, and she could tell a difference in her husband for sure when they added the Bemer in. Once they get theirs, then this family will be able to send their mom, because their mom just lives around the corner from them. She can start ‘beaming’ more regularly and have that combo with the Flavon. It will be nice to see. Dr. Swartwout: Well, we are looking forward to experiencing it ourselves, and getting it on board to help people who need… Everybody needs that foundation, really. It’s a unique product that way.